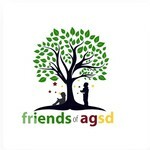 Friends of AGSD hasn't added a story. Thank you for donating to friends of agsd! This committee supports and raises funds for school board candidates committed to our schools and community. Your contribution helps fund their winning campaign. You'll see your support transformed into digital and printed materials and signage for the candidates below. Please make sure to bookmark their websites and check back frequenty for campagin updates! Contributions or gifts to FRIENDS of AGSD are not tax deductible. Paid for by FRIENDS of AGSD. FRIENDS of AGSD is the authorized political committee for Dorothy A Linn, Tracy Lisi, Jeffrey L Billig, Herman W Engel, and Bonnie J Wolff. ©2019 FRIENDS of AGSD. All Rights Reserved. Any use of this webpage or any pictures or descriptions of its content without the consent of Friends of AGSD is prohibited. Friends of AGSD hasn't posted any updates yet.